A fun and interesting decorative sticker for your children's room. Fabulous decal of a girl being dragged into the air by the balloons whilst holding onto her favorite toys. Decorative sticker that your children will love. 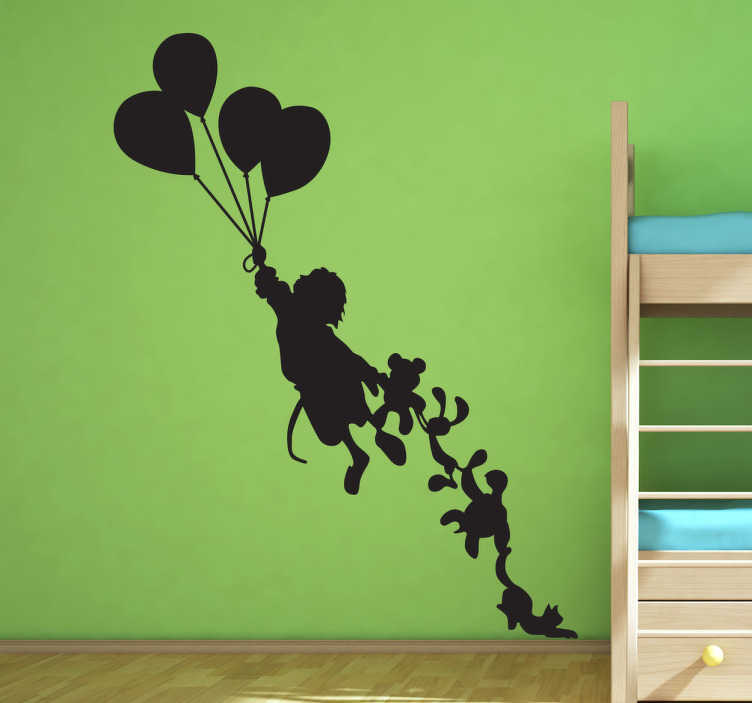 A very simple and original wall decal that will make their room look more stylish but also child-friendly. You can place this decal anywhere at home but we suggest your child's room. You can also customise this wall sticker by choosing the colour and size that you find appropriate for your home.